Multi-coloured fair trade recycled rag rug made from leftovers and waste pieces from the garment industry. Please note that colours will vary slightly due to the recycled nature of materials used. 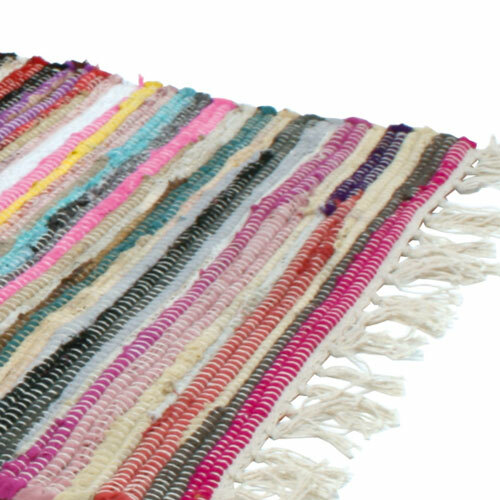 As this rug is made from recycled materials, we cannot guarantee that it is colour-fast.